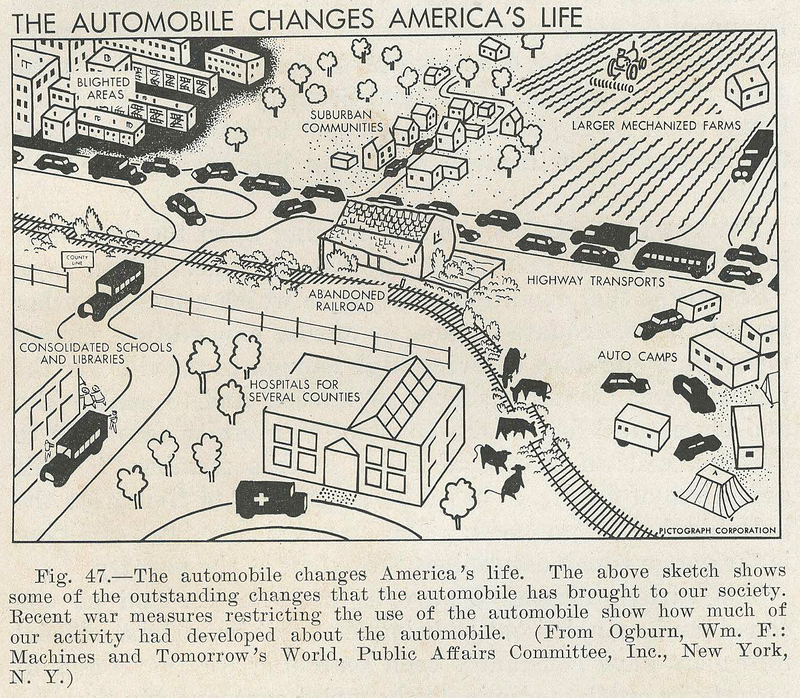 This infographic (by Pictograph Corporation) appears within 1943's An Introduction to Sociology and Social Problems (second edition) by Deborah MacLurg Jensen, and it serves as a good ephemeral jumping off point for a post about cars and walkable communities. It shows the ways that automobiles changed life in the United States. Ostensibly, it's supposed to be a pro-automobile illustration but, especially with hindsight, it makes it clear how cars pushed our communities, neighborhoods, schools and public services apart, making cars fully mandatory for existence within society. WHY?!?! 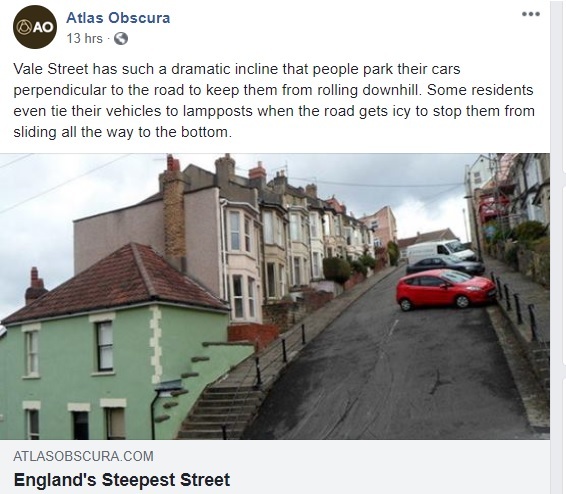 Cities weren't even built for cars until the last 100 years and they probably never should have been in the first place. There should be no entitlement to roads going everywhere and cars parking everywhere. What's wrong with a few car-free neighborhoods? Or at least off-site parking? "[There would be] no traditional city grid. Instead the plan uses Dutch easement and platting standards as a model, envisioning an 80-person-per acre average density that will feel far lower thanks to parks, public squares, and short distances to the countryside outside of town. Each street will prioritize cycling and pedestrians while parking lots will only be built at the edge of the city."